On Sunday, the great tenor Carlo Bergonzi turned 90. I’m a day late to the party, but I spent quite a bit of time thinking about him – and more generally, about the many tenors I’ve heard in person since I began to listen to opera in the early 1970s. Happily, that distinguished list includes Bergonzi (several recitals, and Un Ballo in Maschera at the San Francisco Opera). Some of the others are Roberto Alagna, Lawrence Brownlee, Carlo Cossutta, Nicolai Gedda, Giuseppe Giacomini, Ben Heppner, Siegfried Jerusalem, Jonas Kaufmann, James King, Alfredo Kraus, Matthew Polenzani, Christoph Pregardien, Anthony Rolfe-Johnson and Ramon Vargas. Last but certainly not least, I saw all three of the legendary Three Tenors – Jose Carreras, Placido Domingo, and Luciano Pavarotti – a number of times in their pre-Stadium years. All of the singers on this list impressed me considerably – none more so than Bergonzi, who among this group would probably be my desert island tenor. I could say it’s because of gorgeous color of his voice, and that’s certainly part of it. He also impressed me as an intrepreter, which might surprise some of you. Certainly, most critics didn’t praise his acting skills. He’s not generally held up for his mastery of character, nor did he possess a particularly inspiring physique du role. But as a person who came to opera through the theater, I’m always trying to get students to enlarge their understanding of what great acting really is. Looking the part is one element, I’ll grant you – but only one. There are a number of skills far higher up on my list. Below you’ll find two excerpts of Bergonzi in Elisir D’Amore, and they make the point far more eloquently than I can. Instead, they are masters of word pointing, graceful phrasing, and vocal charm – and to me, that’s great acting. Just listen to the first phrase of “Una furtiva lagrima,” and you’ll know you’re in the presence of greatness. Yes, I’ve seen cuter Nemorinos – and at least one (Louis Lima) who could turn a cartwheel. But I’ve never heard one who charmed me more. 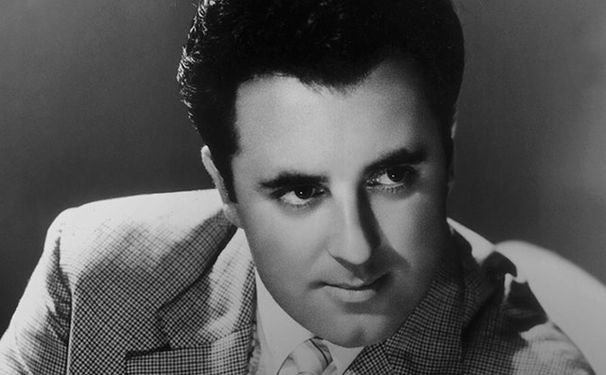 American audiences in general got lucky with Bergonzi – he sang here a lot. At the Met alone, he gave more than 300 performances over a period of 40 years. He was in his mid-70s when he gave his last recital in New York. The size and range of his voice were reduced, but the style and brio were undiminished. Bravo, Carlo – and heartfelt birthday wishes from a grateful fan!